People die. That is a fact. The end comes to all of us. However, comic characters get a resurrection every couple of months, and they’ve been doing it regularly ever since Superman decided to kick the bucket in the nineties, and then decided that a kryptonian healing coma might be right up his alley. Still, it makes for a good story, it’s just a little worrisome that we get this story an awful lot. 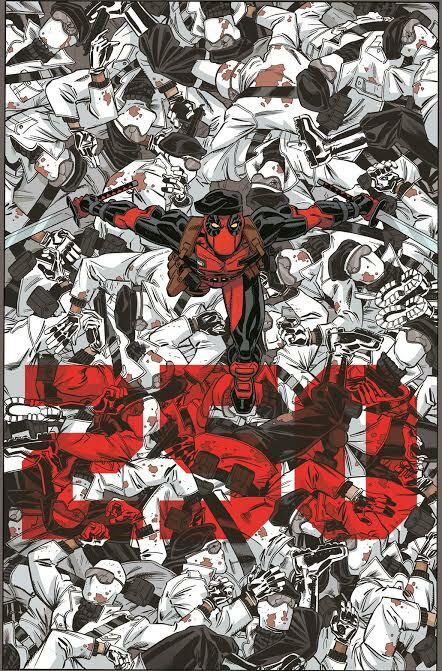 In April, we’re getting Deadpool #250 (AKA: Deadpool #45 of his newest series.) We’re promised excitement, laughs, and the resolution of a story that only Deadpool could be the cause of. With a number of fascinating side-stories by a number of great writers (Gerry Duggan, Brian Posehn, Ben Acker, Ben Blacker, Nick Giovaneti, Paul Scheer, Jason Mantzoukas, Mike Drucker, “and more”), we know it’s going to be solid. Truth be told though, this is unlikely to be Wade Wilson’s final outing as his ‘living’ self. People live, and people die, but killing a best-selling comic character and bringing him back a year or two later has become the norm. Ask me how long I think the death of him and Wolverine will last, and I give it three years, tops. By the same token however, I think this is going to be the issue you won’t want to miss: after all, Deadpool and Death, finally together after decades of flirting and pining. Deadpool has never visited her for more than a few hours at most, so it will be interesting to see if the relationship actually survives. Get ready for Deadpool’s final hour. Incidentally, if he’s eventually brought back to life because Death kicked him out for good, remember this article and say: Kung Fu Dave called it!